I research and create bespoke house and family histories; presented as lavishly illustrated, usually leather-bound, "heirloom" documents. 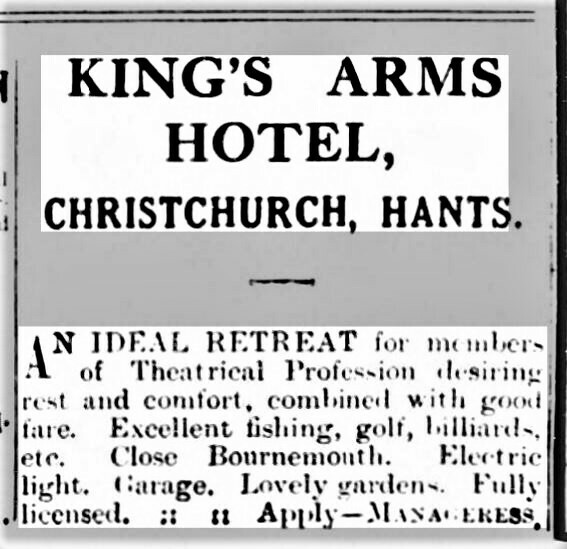 During the late 1930s, The Chine Hotel was marketed very positively by the “Resident Proprietor”, Mr James Millar, especially in theatrical newspapers, such as The Sphere, The Era and The Illustrated Sporting and Dramatic News. 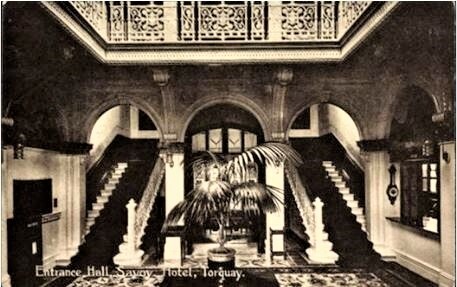 The hotel was much favoured by actors and theatre companies, who dined and stayed at the hotel when they were performing at Boscombe Pier or The Boscombe Hippodrome (now the O2 Academy). The hotel advertised in two very different publications in the summer of 1937: The Sphere (on 26th June) and The Yorkshire Post (on 2nd July). The words are the same. Both describe The Chine Hotel as “one of the sunniest hotels on the South Coast…” but the layout changes the message. The long, lazy style and wavy lines in The Sphere give a much more “laid-back” feel that was presumably more appealing to the less traditional, more artistic set! The Chine Hotel was promoted as the ideal place to stay in every season, especially to people who lived in the colder climes of Scotland and the North East of England: “The Chine maintains at all times of the year a reputation for good food…”. 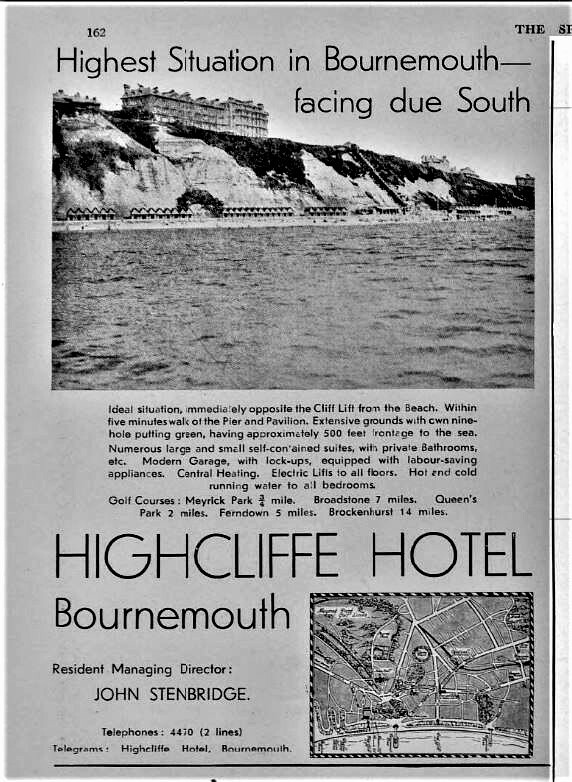 On 3rd September 1937, The Scotsman encouraged readers to take an “Autumn Holiday” at The Chine Hotel with its “four acres of terraced gardens which lead direct to the water’s edge and the Undercliff Drive“. The “Winter?” advertisement in The Yorkshire Post of 15th October 1937 used single-word sentences to confidently extol the luxuries and pleasures to be found at The Chine Hotel and to sell it as the perfect antidote to winter. The more dignified ad and article in The Illustrated Sporting and Dramatic News of 2nd December 1938 seem to echo the less carefree national mood at a time when increasingly sinister events were taking place on the continent. The hotel is described by Mr Ashley Courtenay as “A Home from Home…” and the emphasis is on the consistency and quality of its food and wine, the long service of the staff, the splendid situation and its accessibility. The ad highlights “Bournemouth’s 1,001 entertainments”. A more upbeat style is back in February and March of 1939, when a repeated advertisement in The Scotsman is eager to persuade those north of the border that “It will be nice to get into a warm and sunny climate again”. Visit The Chine Hotel to experience a gorgeous piece of Boscombe’s history first-hand. Frederick William Tozer was born on 28th June 1885 in Liskeard, Cornwall, the third son of George Tozer, Superintendent of a Life Insurance Agent and his wife Ellen, who were originally from Plympton in Devon. George’s occupation was Superintendent of a Life Insurance Agent. 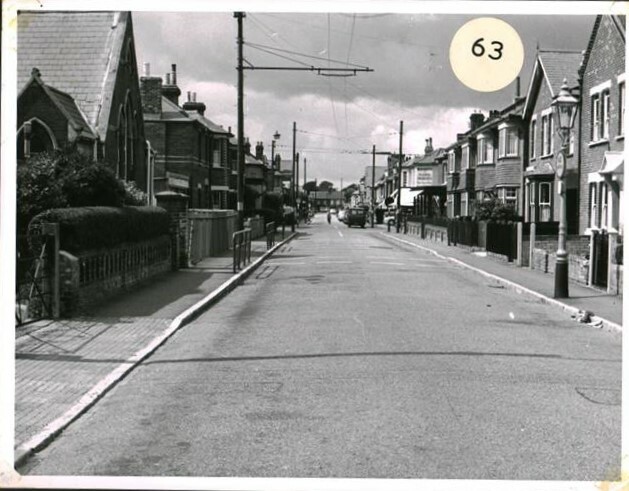 Shortly after Fred was born, his family moved to Bournemouth and, on 5th April 1891 when the census was taken, they were living at No.1 Eaton Villas in Christchurch Road. 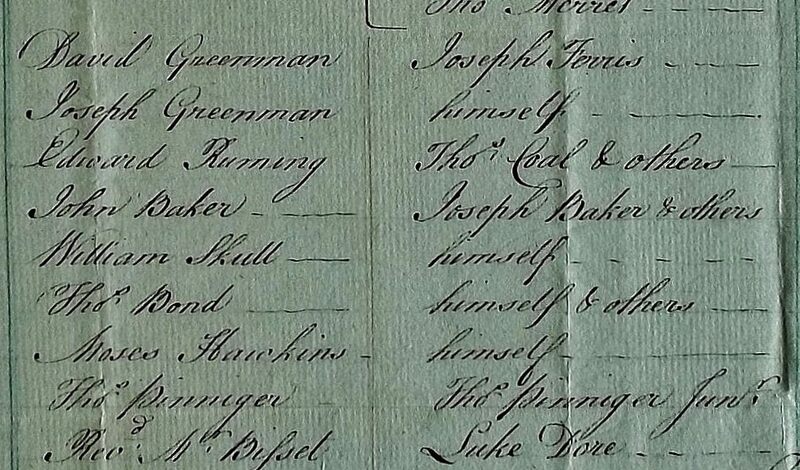 Fred, then aged 5, was recorded in the census as a Scholar, as were his two elder brothers Ernest, aged 9, and Walter, aged 7, and his younger brother, Claude, aged 4. However, he was probably not attending the Boscombe British School at this time. 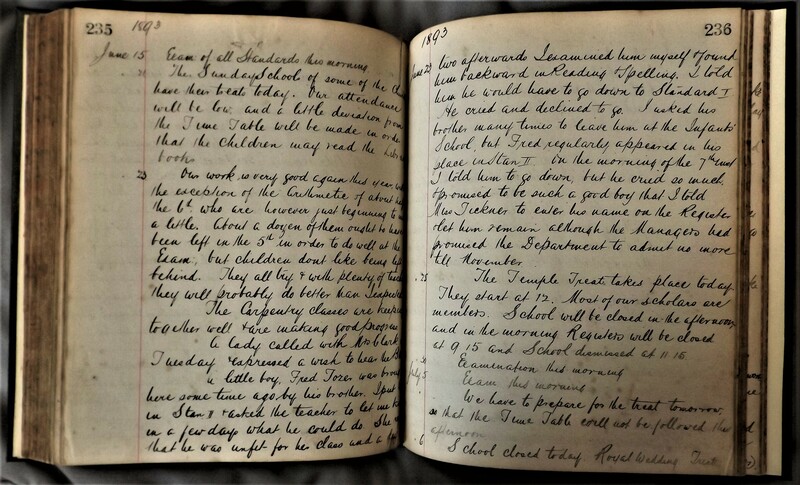 On 15th June 1893, when Fred was 7 years old, the Log Book of Boscombe British Schools recorded that “a little boy named Fred Tozer had been brought to school some time ago by his brother”. 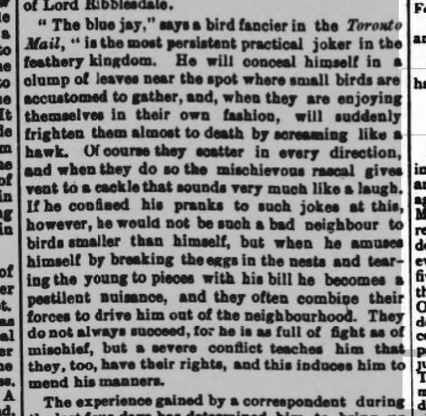 The Headmaster, William Jones, initially put Fred into Standard II and asked the class teacher, Miss Tickner, to report back after a few days on what he could do. After being assessed by both Miss Tickner and Mr Jones, Fred was found to be “backward in Reading and Spelling” and he was told he would have to go down to Standard I. Young Fred became very upset; he cried and “declined to go”. Mr Jones asked his brother to leave him at the Infants’ School; however, Fred was determined and continued to turn up at his usual desk in Miss Tickner’s class. Mr Jones told him once again to go down to the lower class, but Fred cried so much and promised to be such a good boy that Mr Jones told the teacher to “enter his name on the Register and let him remain”. 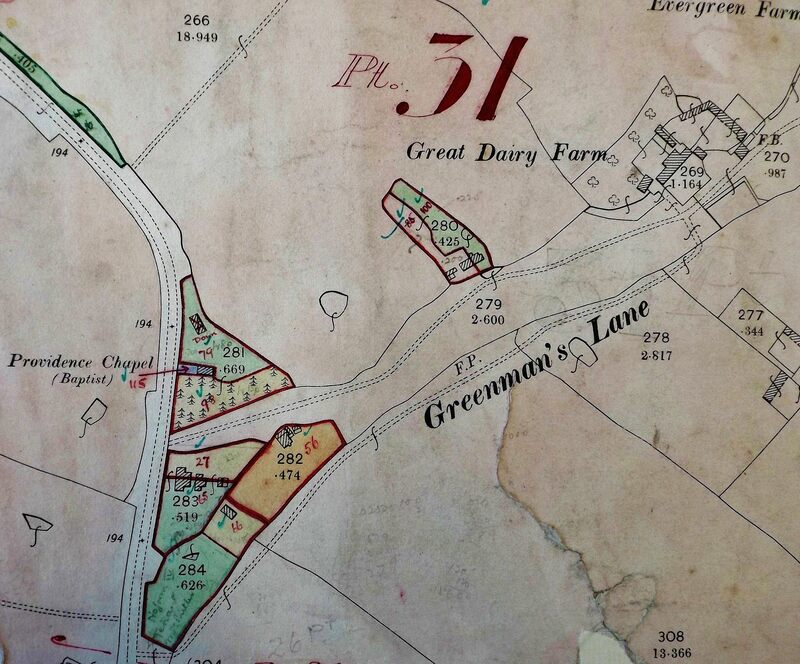 In 1901, Fred and his elder brothers were still living with their parents at 1 Eaton Villas. Ernest, aged 19, was working as a “Chemist’s Shopman”and Walter, aged 17, was a “Chemist’s Apprentice” but no occupation was entered for Fred himself, now aged 15. 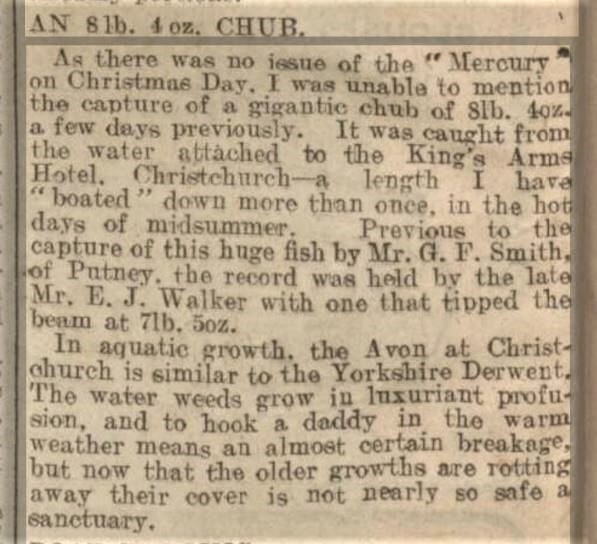 However, by 2nd April 1911, Fred had become a “Mariner/Mercantile”. 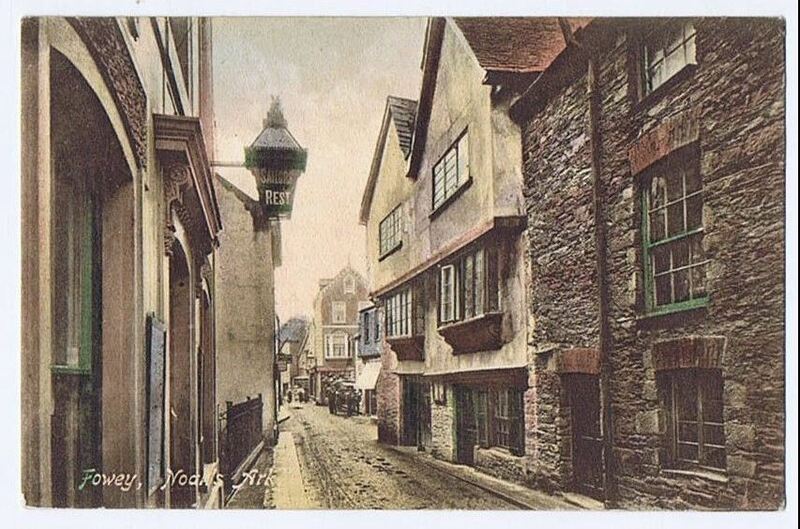 In the census of that date, he was a boarder at the Sailor’s Rest in Fowey, Cornwall; he was aged 25 and single. Fast forward to September 1939 and we find Fred, aged 54 and still a “Merchant Seaman”, living with his wife, Ethel, at 29 London Fields West Side in Hackney. However, after all his seafaring, it turns out that in his later years, Fred returned to Bournemouth, where he died, aged 83 at the end of 1968. Read more about The Old School House here and read other blog posts here. Contact Steph Woods to commission a History of your House or Family: fully researched and referenced, written and illustrated then leather-bound. Also, do check out Co-Working at The Old School House; also the Bournemouth 2026 Trust and the present-day charitable work of the BFSS. 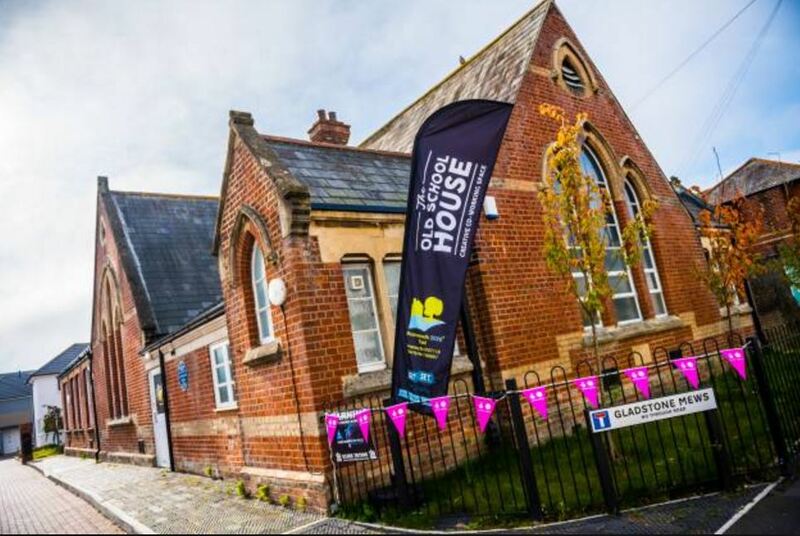 Currently enjoying a new lease of life as a fantastic co-working space for creative small businesses, The Old School House, in Gladstone Mews, Gladstone Road, Boscombe, Bournemouth, was originally built, in the neo-Gothic style, as The Boscombe British and Foreign School. The earliest part of the building is Grade II Listed and dates back to 1878, when the foundation stone was laid by Sir Percy Florence Shelley, Frederick Moser and others on 21st August. 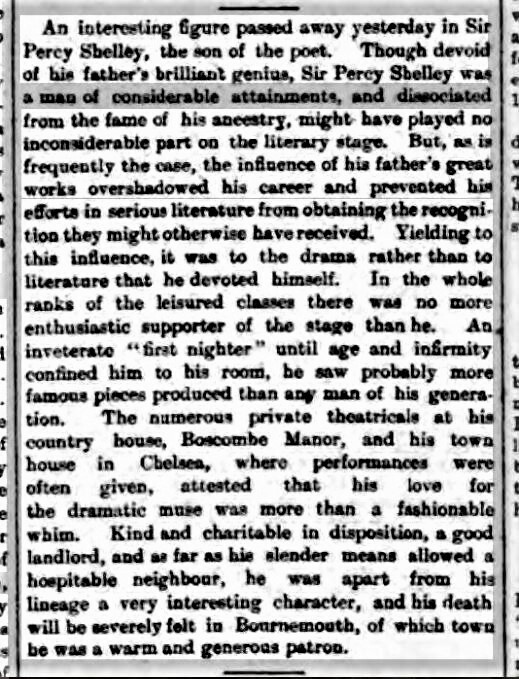 Sir Percy Florence Shelley, of Boscombe Manor, was the son of poet, Percy Bysshe Shelley, and Mary Wollstonecraft Shelley, author of the Gothic novel, Frankenstein. The British and Foreign School Society (BFSS) was formed to carry on the work of a young Quaker named Joseph Lancaster, who founded his first school in Southwark in 1798 to provide education for “the industrious classes”. Joseph Lancaster introduced a system of “mutual and self-instruction”, which included rewards as well as punishment and a non-denominational approach to religious education. When the Education Census of 1851 was taken, there were 514 British Schools in the UK and the movement also spread overseas. The Education Act of 1870 established a new system of locally funded boards to build and manage schools. 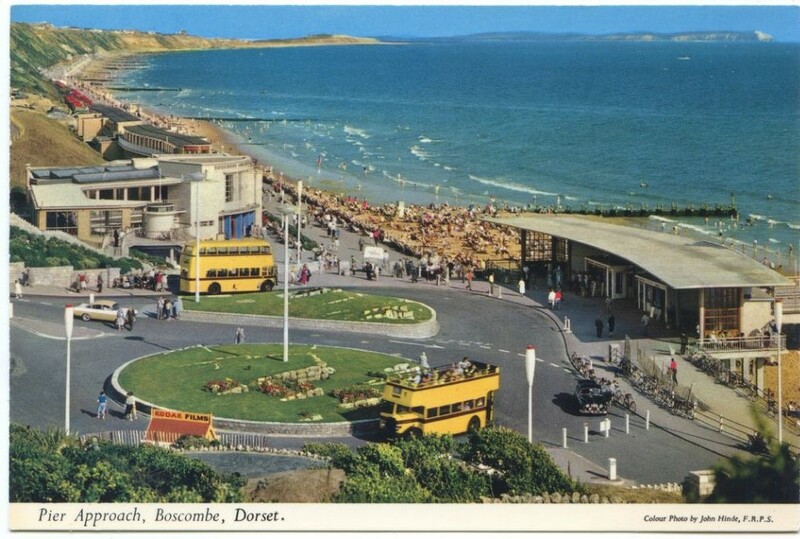 There were objections to the local rates being proposed and, in Boscombe as well as elsewhere, schools fought to keep their autonomy for as long as possible by seeking voluntary contributions. Eventually, however, the resources of the BFSS were diverted to teacher training and the building of teacher training colleges, with the schools themselves being absorbed into the new system. In 1876, a Royal Commission recommended that education be made compulsory to put a stop to the use of child labour; however it took many more years for full school attendance to come about, even though it was made compulsory for five- to ten-year-olds in 1880. 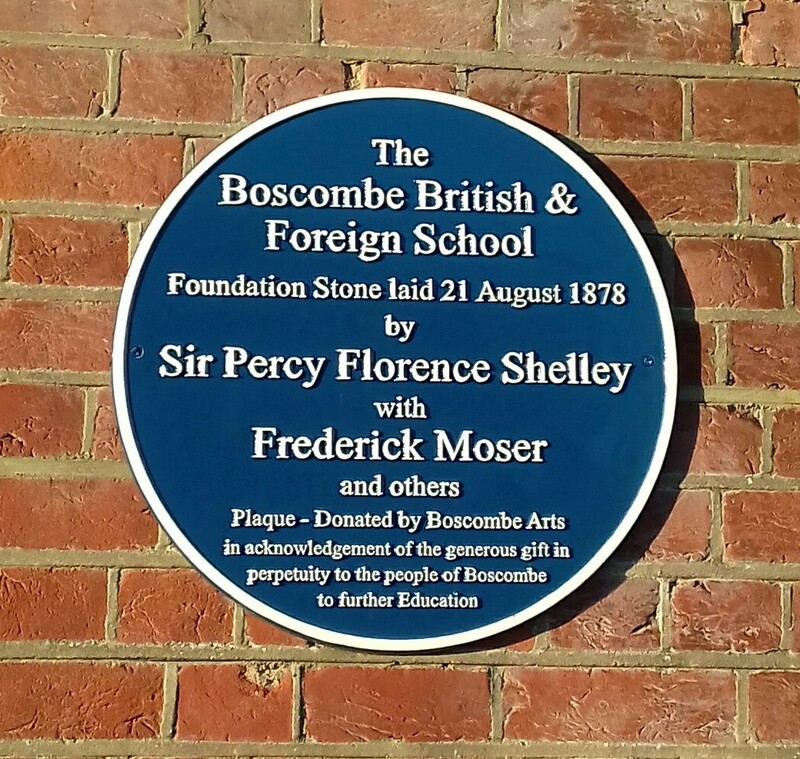 The British and Foreign School at Boscombe was therefore built at a time when a great deal of energy was being devoted to improving both educational provision and the lot of children generally. 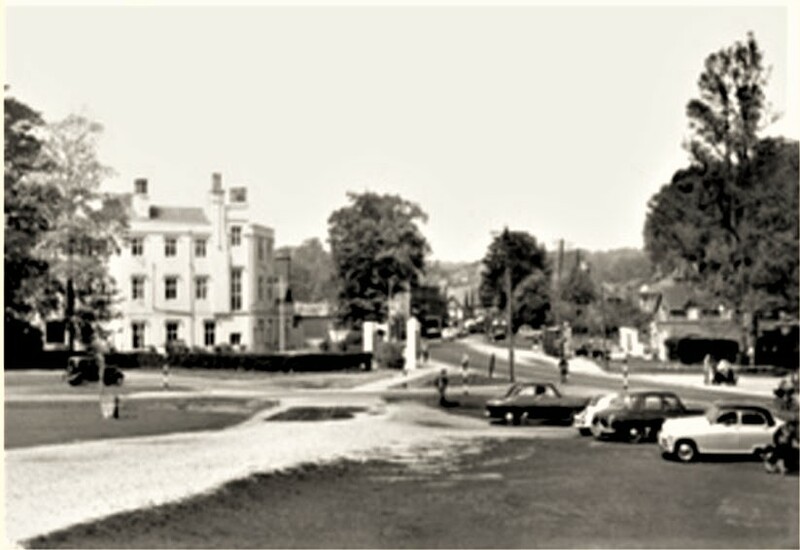 Boscombe was growing rapidly during this period and the school attached to the Church of St Clements was over-subscribed. 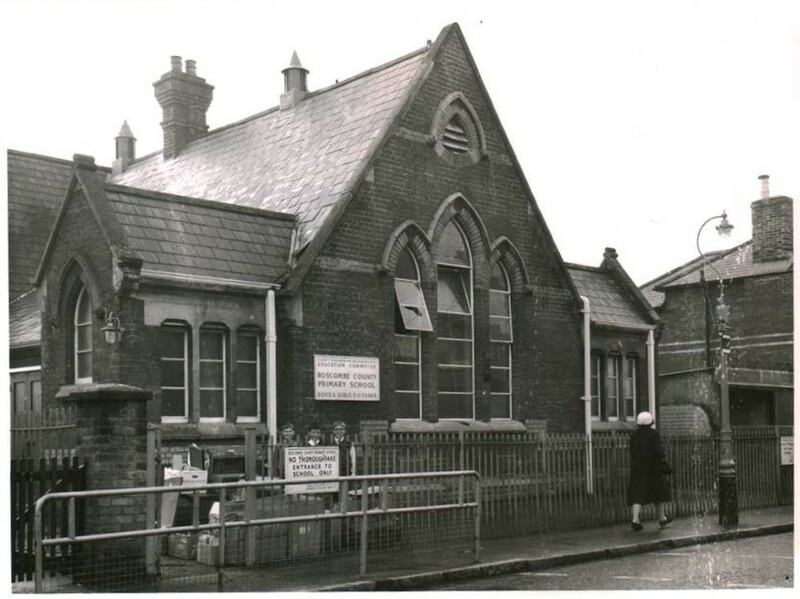 The new British and Foreign School in Gladstone Road was opened in 1879 and it consisted of two rooms, the larger one to the south being for older children. 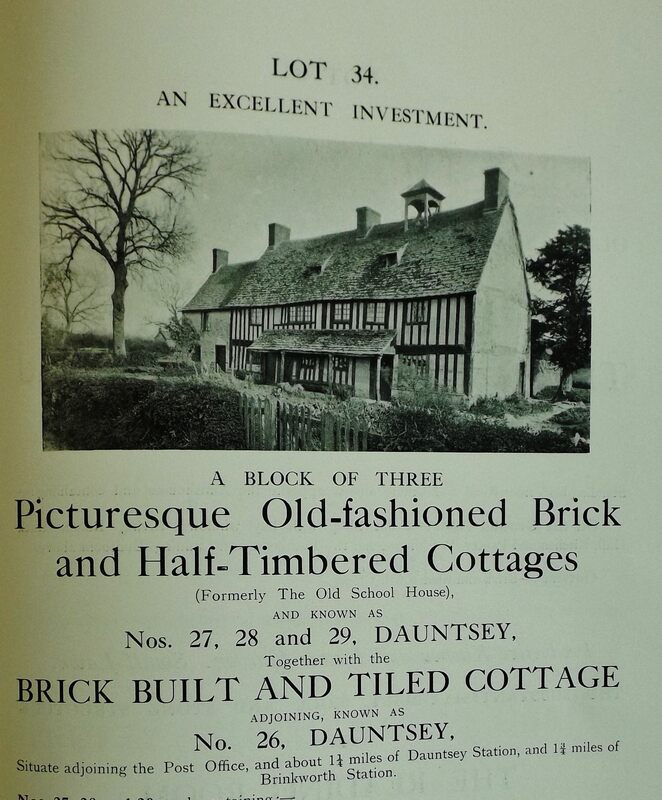 An enthusiastic supporter of the school was Alderman Henry Curtis Stockley of “Essendene, Christchurch Road, Boscombe”, who was school treasurer. 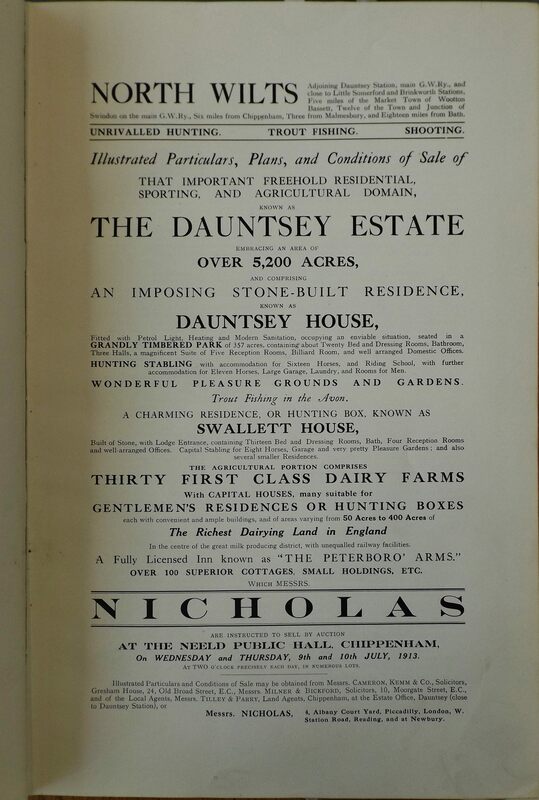 In June 1895, an appeal was made in the press for funds to provide extra accommodation and the school was extended to the south a number of times between 1895 and 1903, when it became a council school. The building continued to be used as a school until the 1960s, after which it became a children’s theatre and, in the 1990s, it was used for adult education. Contact Steph Woods to commission a History of your House or Family: fully researched and referenced, written and illustrated then leather-bound. Do check out Co-Working at The Old School House; also the Bournemouth 2026 Trust and the present-day charitable work of the BFSS.